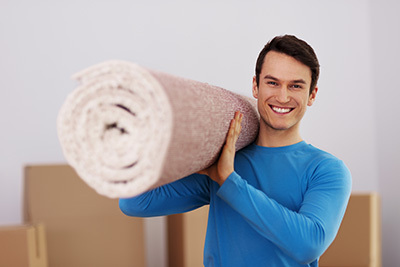 Our specially designed equipment and trained staff can tackle any water damaged carpet and have it fully restored and looking good as new in no time. 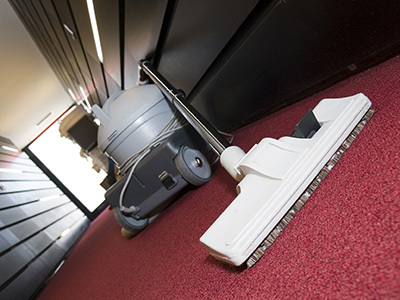 Technology is changing so fast such that some situations demand training in commercial carpet cleaning, mainly due to the equipment and methods used. The intense trained personnel clean with the handpicked cleaning agents to maintain the quality of customers belonging. It is a fact that tile cleaning is a weekly routine for most people and a daily one for people with small children and/or pets. But do you actually do it right? Unfortunately, mistakes are quite common. They range from using inappropriate tools and products to missing important parts of the cleaning routine. Learn how to avoid these mistakes here. Do You Use the Right Equipment? The sponge mop is easy to use; hence it makes the perfect tool… This is a huge misconception. When you pass the sponge over the grout lines, it releases dirty water that accumulates inside. As a result, cleaning the grout will be harder and will take longer. What’s the solution? Opt for a chamois mop or the classic rag. It requires washing after use, but it will do a fantastic job. Don’t use steel wool for scrubbing tile floors as it may turn out to be too harsh on them. It can cause scratches which can, in turn, accumulate more dirt. If you want to scrub the tiles and the grout, in particular, get a brush which is especially designed for the purpose. The long-term use of harsher chemical can be devastating. Generally, the sooner you remove stains and dirt accumulated in the pores of the tiles and grout, the better. The more stubborn they become - the harsher chemicals you will have to use. It is possible to apply something like chlorine bleach once or twice in extreme cases, but if you use it frequently, you will damage the flooring. Are You Following an Effective Routine? Mild detergent dissolved in lukewarm water works great for cleaning tile floors on a weekly basis, but what do you do after completing this task? If you just leave the floor like this, it will get a cloudy look with clear white detergent marks. 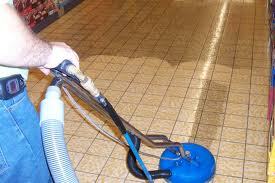 Rinsing is an essential part of tile floor cleaning. Rinse the mop and bucket first and then add fresh water. Making one or two passes will help to remove any detergent residue. 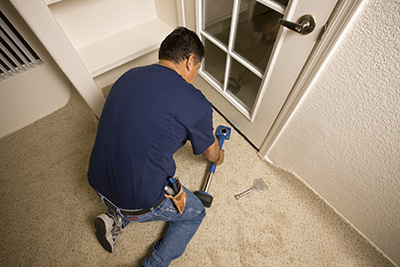 In addition, are you taking measures to protect your tile floor? Give it the proper treatment. If you wipe it with white vinegar, the risk of staining will be lower. It helps for odor removal too. If you wipe it with alcohol, you will lower the risk of mold. Make sure you pay attention to all the points mentioned here for your best tile cleaning yet!